Who am I? Small & mighty. 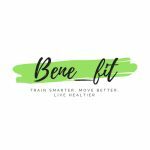 I am Benedicte, a Frenchie, expat in London who has decided to realise her dream: become an awesome personal trainer who influences people & help them achieving their goals. I’ve always be passionate by physical activity and what the body and the mind can accomplish. Fitness is so much more than sweating on a treadmill or lifting heavy weight. It is a powerful tool that can help you to lead a long, healthy, happy and enjoyable life. How can I help you? As a wellbeing professional I will provide you with more than a training plan. I will support you all along your journey. We will work together as a team, set realistic goals to enable you to overcome the challenges and to succeed, becoming the best version of yourself! You will benefit from my expertise in all aspects of fitness, nutrition and motivation with nutritional advice, accountability call & coaching call.